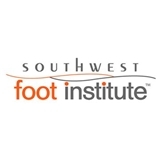 Southwest Foot Institute (Glendale) - Book Appointment Online! The Southwest Foot Institute was originally established by Dr. Michael Dershowitz in 1979 and has several offices throughout the Phoenix Metropolitan area. The Institute is dedicated to the treatment of all ages of patients, from children to senior citizens, and has always believed that the more a patient understands their condition and the treatment options available to them, the more successful their treatment will be. In addition to the typical issues that all podiatrists treat, such as diabetic foot care, heel pain, bunion and hammertoe deformaties, ingrown toe nails, corns and callouses and flat feet, they also provide patients with innovative solutions to heel conditions, nerve conditions and flat foot conditions with minimally invasive surgical procedures with excellent outcomes and also offer cosmetic foot surgery solutions for unusual conditions.